Are you planning a new route in the mountains? Photo: Dave Turnbull. An introduction to BMC and MEF mountaineering grants. 1. 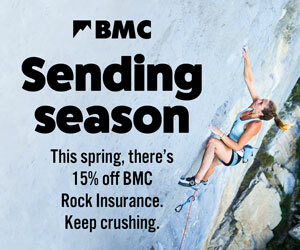 Grants will be available only to those British climbers on the expedition who are BMC members (either as a BMC Individual Member or as a member of a BMC affiliated club). 2. Grant support will be focused primarily on younger climbers/mountaineers and those for whom the grant would make a significant difference to the viability of their trip. 4. The track record of expedition members must show real commitment to climbing/mountaineering, and this should be reflected in their individual climbing standard. 5. Expeditions consisting of younger members for whom the trip would represent a significant personal development will also be considered for funding, irrespective of climbing standard. 6. Expeditions must agree to supply the BMC with a summary report within 4 weeks of their return, and a final report in due course - examples of final reports are here. They must agree to waive their copyright in these reports, which may be included in Summit Magazine, the BMC website and other locations. They should also contribute to BMC lecturer events if required to do so. 7. Expedition leaders are expected to submit a thorough and complete application, which should clearly state all forms of anticipated income. Once an expedition has been successfully considered, a grant award and/or approval will be offered. Completed BMC application form and relevant additional material should be returned to the BMC International Committee Secretary, Nick Colton (nick@thebmc.co.uk). Closing dates are the 1st November (for expeditions taking place before March the following year) or 1st March (for expeditions planned for the rest of that year). 8. Grants are not available for commercial expeditions and should not be used in situations involving fee-paying clients. 9. In countries where peak permits are required, grants will not be released until the expedition receives such permission. 10. Any changes to the original application should be brought to our attention as soon as possible and if, for whatever reason, the expedition does not take place, the grant must be returned in full. 11. Expedition reports must include accounts, and if there is a surplus of income over expenditure, the surplus must be returned, in full or in part as determined by the BMC. 12. Expeditions or individuals who fail to observe the conditions attached to a grant may find themselves deemed ineligible for further support. 13. The BMC also administers the Julie Tullis Memorial Award, a small grant to assist deserving British female mountaineers or any disabled British climbers or mountaineers, both male and female, to achieve their climbing or mountaineering ambitions. Applications for the Julie Tullis Memorial Award can be made via the BMC Expedition Grant form. 14. The Mount Everest Foundation (MEF) also gives grants to expeditions. Their criteria are somewhat different from the BMC criteria, but many expeditions apply for both. However, their applications require a separate MEF form, and have rather earlier deadlines (30th September and 31st January). MEF application forms are available from MEF website . 15. Expeditions that do not meet the criteria for a BMC grant (sections 1 to 5 above), may still apply for “BMC approved status”. This can be done using the BMC grant form, or, for those who are also applying for an MEF grant and can meet their earlier deadlines, on the MEF grant form by ticking the appropriate box on that form.